In most cases, respiratory and heart failure can be detected 6 to 8 hours before the event based on patient’s physiological changes. Telemetry is designed to observe these changes. It helps caregivers monitor patients who are capable of moving around but under the risk of arrhythmia or sudden deterioration. Although real-time patient monitoring is not a new topic for wireless medical application, researchers and engineers realized that, after a lot of efforts, the requirements for implementing telemetries in hospital are complicated, with the unsatisfying wireless system as its main challenge. To address the problem, Mindray has developed the MWAN, the first medical-grade wireless network technology dedicated for telemetry. 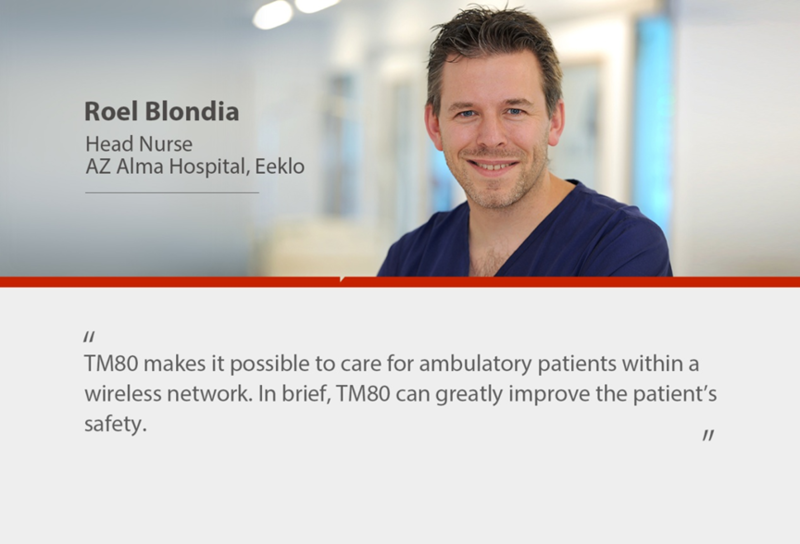 It allows the Mindray’s BeneVision TM80 telemetry monitor to be seamlessly integrated into the hospital’s existing IT infrastructure while still maintaining a reliable performance to ensure patient’s safety. 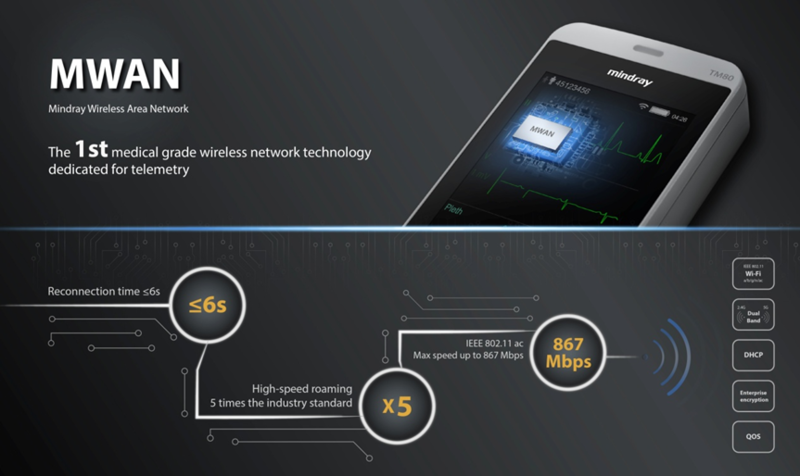 Test results showed the outstanding connectivity of the BeneVision TM80 in a 5G network within 24 hours. When it came to 2.4G, the drop-out rate still remained under 0.1% and the BeneVision TM80 had reconnected immediately. 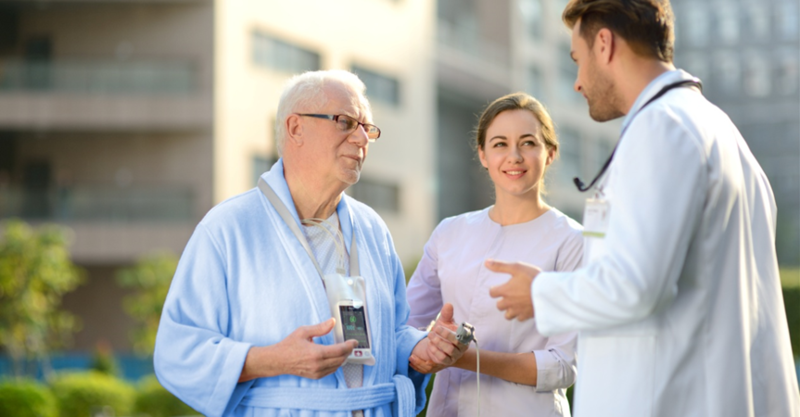 By wireless interference immunity, timely data transfer and the high-speed roaming which is 5 times faster than the industry standard, the MWAN technology allows caregivers to monitor ambulatory patients and in a continuous and real-time manner, and quickly respond to any events. . However, it could happen that the patient might walk outside the Wi-Fi area, where the connection can get lost. 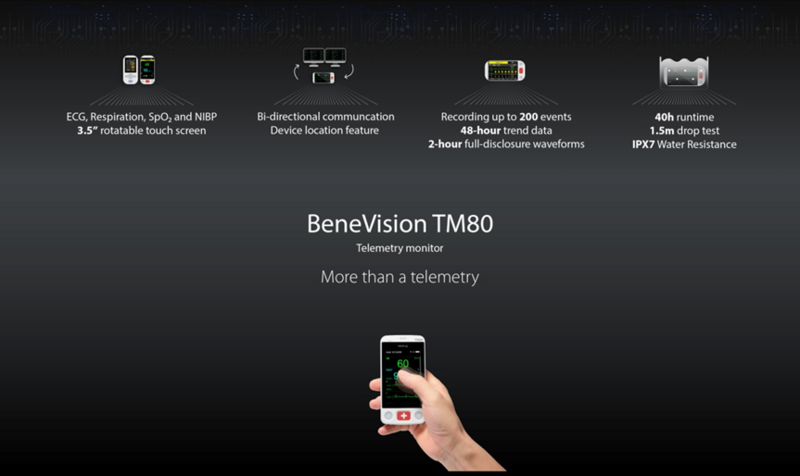 Caregivers can now be reassured, as the BeneVision TM80 would switch to a powerful local monitor so the patient is still being taken care of. The built-in alarm would also be triggered if any arrhythmia event is detected. When the patient walks back, all the data including up to 200 events, 48-hours trends and 2-hour full disclosure waveforms will be backfilled to the Central Monitoring System (CMS) automatically, and there will be no gap in patient data. accurate and uninterrupted measurements of ECG, Respiration, SPO2 and NIBP. No bigger than a smart phone, it is able to run 40 hours in a row. And through 1.5-meter drop test and IPX7 waterproof test, it is safe for patient’s normal daily activities like shower. save time and improve efficiency. really easy for us to find out TM80 when we forgot where was it,” commented Mats Karlsson, Biomedical Engineer at Falun Hospital, Sweden. reliable and continuous monitoring for ambulatory patients.